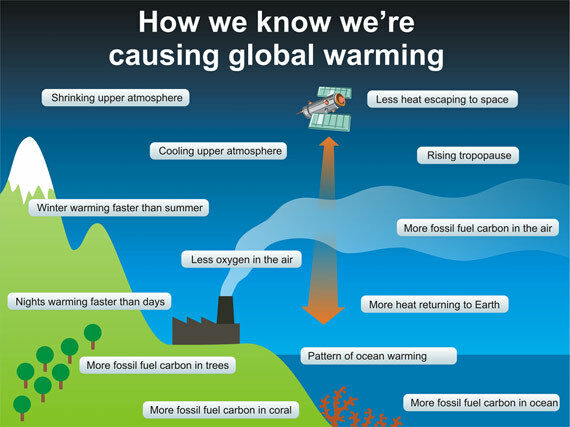 This page contains a variety of resources for teaching about climate change. Many of the links on this page are from a list compiled by Greg McNamara, executive officer of TESEP (Teacher Earth Science Education Programme) and included in a series of webinars produced in conjunction with ASTA during October 2013. To learn more about the work of TESEP and opportunities for online and face to face professional learning, click here. This outline published by News.Corp in Australia gives a useful overview of climate change and responses to some of the most frequently asked questions. Scientific skepticism is healthy. Scientists should always challenge themselves to improve their understanding. Yet this isn't what happens with climate change denial. Skeptics vigorously criticise any evidence that supports man-made global warming and yet embrace any argument, op-ed, blog or study that purports to refute global warming. This website gets skeptical about global warming skepticism. Do their arguments have any scientific basis? What does the peer reviewed scientific literature say? Use this forum to share other links and comments about these resources. You must be logged in to post in the forum. These two courses were downloaded from a collection of free resources at moodleshare.org. They are used here by permission under a Creative Commons License.